School ends next week here in New York, and we’re so ready! 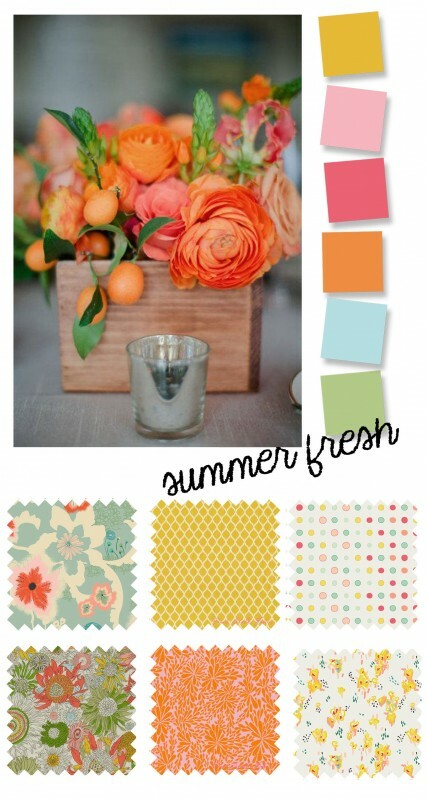 Here’s looking forward to a summer full of fresh, saturated colors. I hope your summer is off to a good start. Right now I’m feeling inspired by fresh fruit and flowers, and by shady parks. We found a lush park in our neighborhood last weekend with meandering brick pathways and lots of little corners and cool spots to stop and sit for a while. It is the perfect place to spend an afternoon. What’s inspiring you these days? And what would you make with these fabrics and colors? I really enjoy these color palette posts. They give me ideas how to better organize my sewing.